Meek Mill’s emergence as the face of the probation system’s injustices culminated in January with a press event at John Jay College in Manhattan, where Meek, Jay-Z, CNN commentator Van Jones, and several billionaires gathered on stage to unveil Reform Alliance, a new nonprofit dedicated to helping the estimated 4.5 million people on probation or parole, aiming to reduce that number by one million over the next five years. As Jones, the group’s CEO, said during the presentation, Reform will focus its attention on overhauling laws and policies; toward that end, it is launching with what it says is a war chest of $50 million. Founding patrons include Jay-Z, Philadelphia 76ers owner Michael Rubin, New England Patriots owner Robert Kraft (who wore a diamond chain bearing the name of Meek’s latest album to the NBA All-Star Game), hedge fund manager Daniel Loeb, cryptocurrency mogul Michael Novogratz, and philanthropist Clara Wu Tsai, all of whom appeared at the ceremony. One individual who did not attend the press conference, but who is credited on its website as a “founding partner,” is a man named Robert Smith. Smith, whose net worth Forbes estimates to be $4.4 billion, runs Vista Equity Partners, a private equity firm that he founded in 2000. The firm owns over 50 software companies, including CentralSquare, which last year, after a series of acquisitions and mergers, became by its own estimation the country’s largest provider of software in the “public safety” market, which you might otherwise know as cops, prisons, fire agencies, etc. The company also sells tools for tax collection, community development, and other municipal agencies. TechCrunch has reported its revenue to be at around $400 million. A representative for Smith told Spin that the billionaire contributed $5 million to Reform Alliance. CentralSquare’s offerings include “Jail Enterprise,” a prison management suite advertised as enabling users to “run even the largest correctional facilities like clockwork,” assisted by real-time data. The company says its software simplifies the inmate booking process, integrates criminal records, and provides tools for monitoring, scheduling, and recording inmate activity, in order to, in the company’s words, “enhance an agency’s daily productivity and improve officer safety.” (The product description does not mention the safety of inmates.) CentralSquare makes millions of dollars providing and maintaining these programs: clients currently licensing its jail and policing software for seven-digit sums—under the brand name TriTech, a company merged into CentralSquare last year—include the state of New York, the city of Austin (where Smith lives), and California’s Orange County. The contradiction remains, though it is perhaps less an indictment of Reform Alliance itself than an illustration of a sad reality. Securing funding for an organization of such ambition all but necessitates the involvement of very rich people, and very rich people often have money that comes via unsavory means. 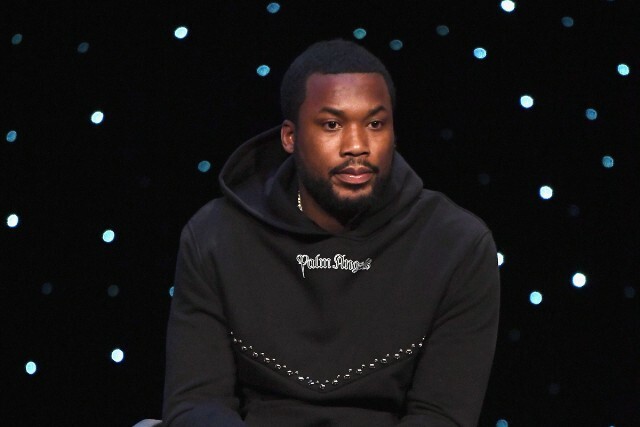 Meek Mill, for his part, through months of public advocacy, has demonstrated good faith in his efforts to transform the attention his own probation case received into tangible change. Spin asked a representative for Reform whether the rapper knew about Smith’s stake in CentralSquare, and whether the organization has any comment. After responding, “Not sure why it’s a contradiction,” the rep shared a statement, attributed to Van Jones, that defends the general concept of software as important to criminal justice reform.